Providing a nominee may be a simple but important step in making a mutual fund investment. The importance of this step comes in when a nominee or legal heir has to claim the investment proceeds after the death of a mutual fund investor. A joint-holder, nominee or legal heir can claim the proceeds. The process is called transmission. Asset Management Companies (AMC) have a common procedure for transmission of units, however, there might be a slight variation in formats or documents required across AMCs, but broadly the process is the same. The nominee or legal heir should submit the required documents along with the letter requesting transmission of units to the AMC. It is necessary to contact every mutual fund house separately where the deceased person had investments. Demise of sole or all holders, where nominee is NOT registered. In all the cases, surviving holders or nominees or legal heirs should submit the following common documents with the AMC. Letter requesting for transmission of units-It should be in the AMC’s specified format. Now coming to the most important part, while in case of situation 1 and 2 one will require the documents stated above in case of situation 3 where nominee is not registered needs two additional legal documents- Indemnity bond signed by all legal heirs confirming the claimant and individual affidavit by legal heirs. However, if the claim amount is above a certain hurdle limit, the claimant will be required to produce a notarized copy or probated will or succession certificate by a competent court or Letter of Administration, which makes the process harder. The problem arises if claimant’s name in the identity documents or bank record and AMC’s record do not match. For instance, the identity documents carries middle name and AMC’s record do not or vice-versa, or different spellings. So, while mentioning nominee, make sure the details match the nominee’s identity records. Also, if the claimant is a minor, all stated document of the guardian will be required. If all required documents are in place, the process will take up to 15 days after submission of request letter and relevant documents. Finally, all these things are possible only if the investor keeps someone informed about his investments. If no one is aware of the investments, the investment will keep lying as unclaimed. 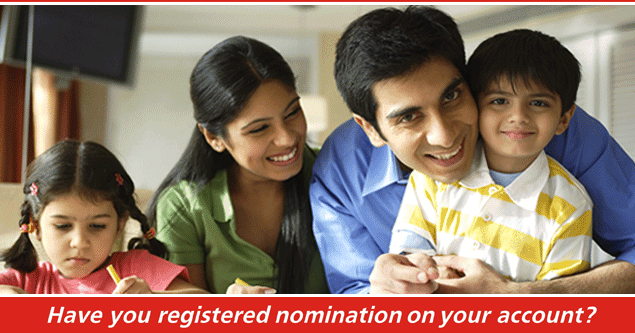 So, make sure that you keep the nominee or someone in the loop about your mutual fund investments.